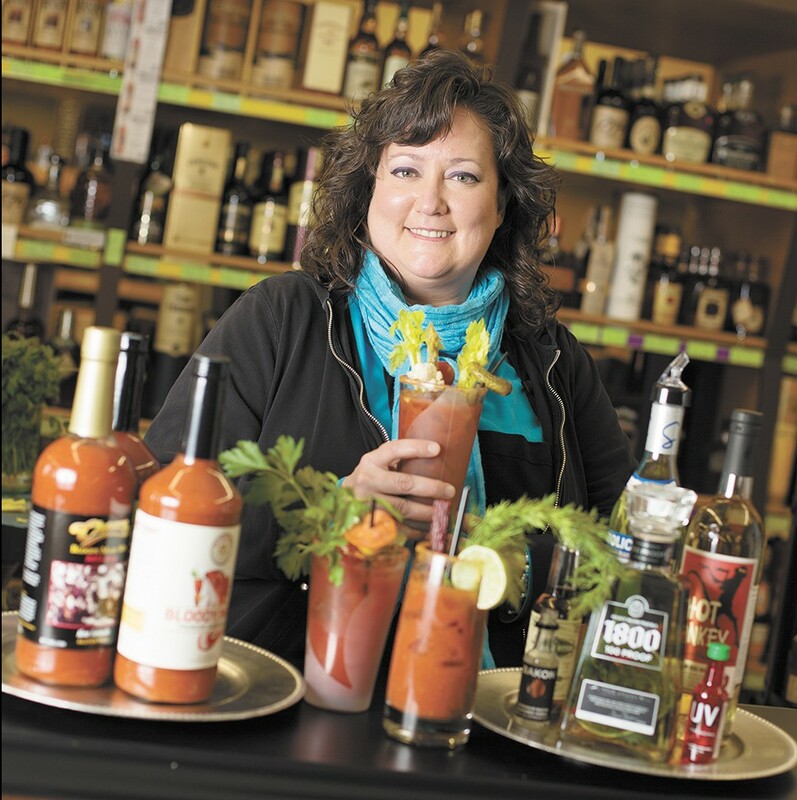 Bloody Marys made with infused liquors at Eggers South Hill Liquor. Front and center of Egger's South Hill Liquor is the Pallet Table. It hosts small runs of innovative liquors, such as fresh cut grass vodka and gin distilled from Washington-grown apples. The walls are lined with liquors of all types, from the familiar to the rare: Italian aperitif Aperol, Portland's House Spirits Coffee Liqueur and Woodinville Whiskey Co. share shelf space with local darlings 44° North and Dry Fly. Carolyn Seim manages the store, which was a state-run liquor store for more than 30 years before it was sold to Diane Egger, of the Egger's Better Meats family, who had worked for the previous owner for 16 years. Seim is also no stranger to the liquor business. She managed a state-run store for 17 years and possesses a deep knowledge of classics, while at the same time appreciating new selections and craft cocktail trends. While some independent liquor stores have struggled in the wake of the shift in liquor laws, Seim has remained relevant with a fine collection of foreign and domestic liquors, with an eye toward local and regional distilleries. It also helps that she's kind enough to share recipes for her cocktails, including one hell of a Bloody Mary. "We carry some things that the larger chains don't. We have the largest selection of scotch on the South Hill. We have the best selection of vermouth you can find," says Seim. The variety doesn't stop at liquor. Mixers abound — from tomato juice and margarita mix to tonic and ginger beer — for all varieties of cocktail. Trendy Underberg, a popular German digestive, leads the way for a healthy selection of bitters including Fee Brothers, Scrappy's, Sun Liquor and Angostura. Blue cheese-stuffed olives, pickled okra and maraschino cherries round out the plentiful garnish options. Seim has been the driving force behind rebranding the shop's image. Perhaps her most significant creation: a tasting bar. Every Thursday and Friday from 4 to 6 pm, Seim mixes cocktails for patrons to taste and consider. Cocktails range from the fan favorite Moscow Mule, a blend of rum, ginger beer and lime, to the more potent Manhattan, a sophisticated combination of bourbon, sweet vermouth and bitters. "A taste is worth a thousand words. Sometimes people walk right past really interesting things to buy their brand," she says, "If we can open a bottle and let them try something new, they'll probably buy it. Even if someone doesn't like the cocktail I'm making, they can try something else." Seim's personal favorite, the Bloody Mary, is perhaps too ambitious for the tasting bar, but nevertheless is a favorite. Seim shares her well-honed tips for the bloody bar you might be planning for your Super Bowl party. 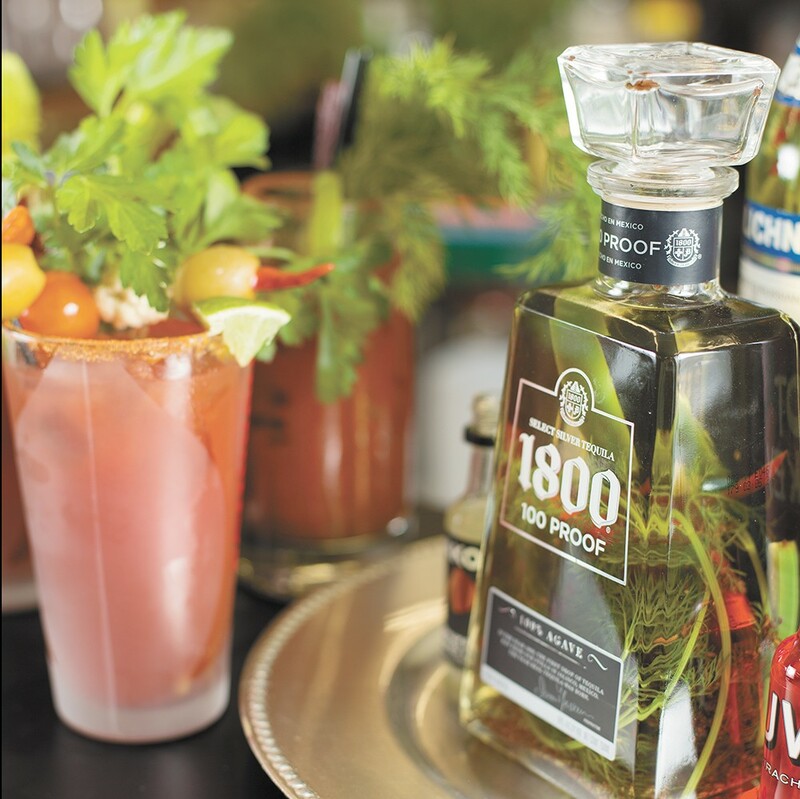 The beauty of a Bloody Mary bar is giving guests the opportunity to experiment. Vodka in all flavors — chili pepper, bacon, Sriracha and cucumber — make an excellent base, as does tequila. Simple lagers or pilsners make refreshing red beers, as do Mexican micheladas. Or do as Seim does and infuse your own aquavit, the traditional Scandinavian liquor known for its intense herbal and aromatic flavors, ahead of time. "It's very easy to make your own aquavit. Three days is enough to infuse. If you leave it much longer, it can get bitter or too hot," says Seim. "If you take tomato juice and try to add celery salt and Worcestershire, all of the dry stuff sits on the top and doesn't really soak into the tomato juice well. I just take the lid off of my Bloody Mary mixer, throw in some Demitri's (Bloody Mary seasoning) and then shake it up. Demitri's is less salty, too," says Seim. Rim a tall glass with Old Bay seasoning. Fill with ice. Mix ingredients in a shaker and pour over the prepped glass. Garnish with pickled green beans, baby dill pickles, celery stalks and a slice of bacon.